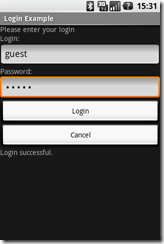 The .setOnClickListener method accepts a OnClickListener variable which contains the reference to the function to be called when the event gets triggered. There are tree ways to implement an Listener. I’ve decided to use the inline anonymous class version, as every of the listeners only gets used once and their code is pretty small. If you want to know more check out my Implementing Listeners in Android/Java post. For the Login button (btnLogin) we’re getting the values from both Text fields (etUsername containing the username and etPassword containing the password) and comparing them to the login. 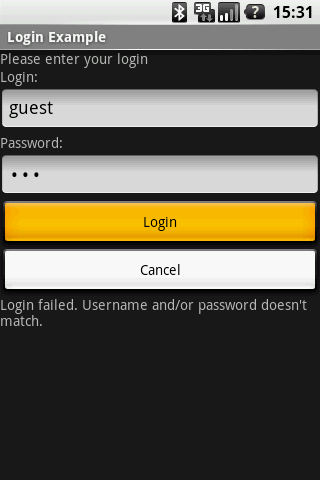 If both are correct, it will update the lblResult field with a message of successful login, otherwise informs the user that the login has failed. For the Cancel button we simply close the Activity by calling finish();. 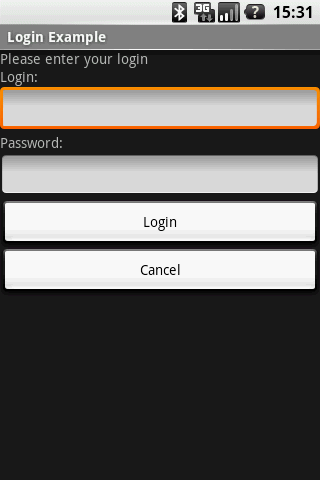 In this example we have the username and password hard-coded. 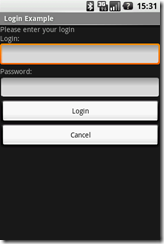 In a real application we would receive the login from a webservice or an database. 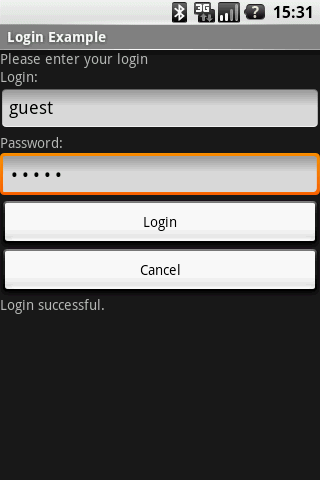 Finally you can run your application and enter your "guest" as username and password and click on login.